While the film screened there don’t contribute significantly to the European box office, the just concluded Berlin Film Festival is the occasion for publishing provisional statistics on the past year’s cinema attendance across Europe. No less than three trade bodies issued their data for 2016 cinema going in Europe: UNIC, Media Salles and the European Audiovisual Observatory (EAO). While overall attendance was up, examining all three reports yields a more nuanced picture with several important insights. The three reports differ as they have slightly different criteria in terms of geographical coverage and other factors. UNIC thus reports that admissions were up 1.6% for EU and 2.6% for all UNIC territories (total: 1.26 billion visits), while Media Salles noted admissions going up 2% to 1.25 billion visits for the 35 countries surveyed, and finally the EAO recorded a 1.6% increase in EU, while adding non-EU territories yielded a total of 1.27 billion tickets. So three mostly different sets of data, but with a tight spread. Overall 19 of the 24 EU territories saw admission gains, while only five saw a decrease. Certain territories were stand-outs across all three reports, with France up 3.6% with 7.4 additional admissions to a second-best 50-year high, comfortably retaining its positions as EU and Europe’s biggest cinema market. It was followed closely by Poland (+7.4 million, +16.6% ), Spain (+7.2 million, +7.5%) and Italy (+5.8 million, +5.4%), though the biggest percentage gains were in the Czech Republic (+2.7 million, +20.6%) and the Slovak Republic (+1.1 million, +23.4%). The biggest EU losers were the UK (-3.7 million, -2.1%), but even more so Germany (-18.1 million, -13%), which seems to also have dragged down fellow German-speaking territories Austria (-5.2% UNIC & EOA, -10% MediaSalles) and Switzerland (-7.2 says UNIC, -6.7 says Media Salles and -6.8% says EOA). There was also soul searching in Denmark and Finland after an admissions drop in the two Nordic territories. In non-EU territories there were strong gains in Russia, which saw a 9.6% increase to 191 million admissions according to EAO (+10.1% says UNIC, only 8.8% says Media Salles – though both agree on 191 million spectators), reversing three years of decline. This also makes Russia the clear second in Europe behind France, while the UK is #2 in the EU (if only for a few more years). Past cinema powerhouse Turkey saw a decline in admissions of -2% (says UNIC, -3.6% say both Media Salles and EAO), even as box office grew by 2.2% (UNIC data, +1.5% says EAO, while Media Salles did not publish BO data). Overall growth was strong in Eastern and Southern Europe, with Media Salles putting average growth here at 7.8%, though Russia accounts for most of that spurt. As always, it is local hits that determine the fortunes of nearly all countries surveyed, with major bumps caused by breakout hits such as “Quo Vadis” (Italy), En Man Som Heter Ove” (Sweden), Spain’s “A monster Calls” pushing the country over the symbolic 100 million admissions and “Kongens Nei” helping Norway to a 40 year high of 13.1 million thanks to a 9% increase in tickets sold. With Germany seeing no big hits in 2016, followed by two massive local hits in 2015 (“Fack Ju Goethe 2” and “Honig Im Kopf”), it should thus not come as a surprise that the market fell like a stone. Everywhere the baseline was kept elevated thanks to animated films from Disney and Universal and the usual band of super heroes saving the day. 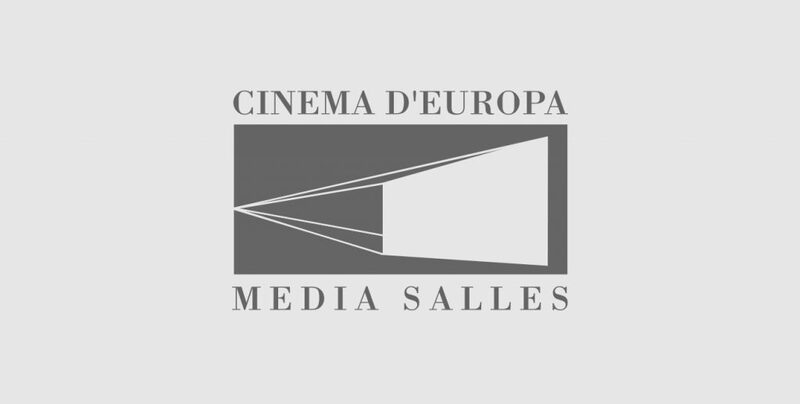 Media Salles alone still tracks digitisation, with 97% of European screens converted to digital cinema, with a growth of 3% though the figures don’t make clear if the 1,162 ‘new’ digital screens are converted screens or simply new cinemas. Spain, Romania and Turkey crossed the 95% threshold in 2016, but there are still laggards like Serbia, the Czech Republic, Slovakia, Estonia, Lithuania and Slovenia. It is not clear if these cinemas still show 35mm prints (from which lab?) or have been mothballed awaiting digitisation. Lastly, another gold medal to France, who together with Ireland has the continents highest average admission, at 3.3 cinema visits per person per year. Bottom of the class is Bosnia with 0.2 visits, followed by Montenegro and Serbia (0.4), Romania (0.6) and Bulgaria (0.8), despite the many multiplexes that have opened in the last two of these. However, it is Turkey with just 0.7 visits that represent the largest ongoing growth opportunity. Mars/CGV, Cineplexx and Cineworld stand to profit the most from this region’s growth in the coming years. Final figure will be published in May to tie in with the Cannes Film Festival, when more figures on the market shares of local films will also be made available. Just don’t hold your breath for Belgium. We never know about Belgium, or more precisely, Wallonia. Neither UNIC nor EAO have estimates for the country, though Media Salles projects a -7% decline. The irony being that both UNIC and EAO are based in Brussels, while Media Salles knows something from its base in Italy that the other two don’t, or at least won’t say or guess.